Authentic Syrian cuisine in Berlin with flexible, family-style service, and a social mission too. In spring the smell of jasmine flowers enchants the streets of Damascus. Salma Armachi brings that sensation to her new home, Berlin, with the exquisite flavours of Jasmin Catering. 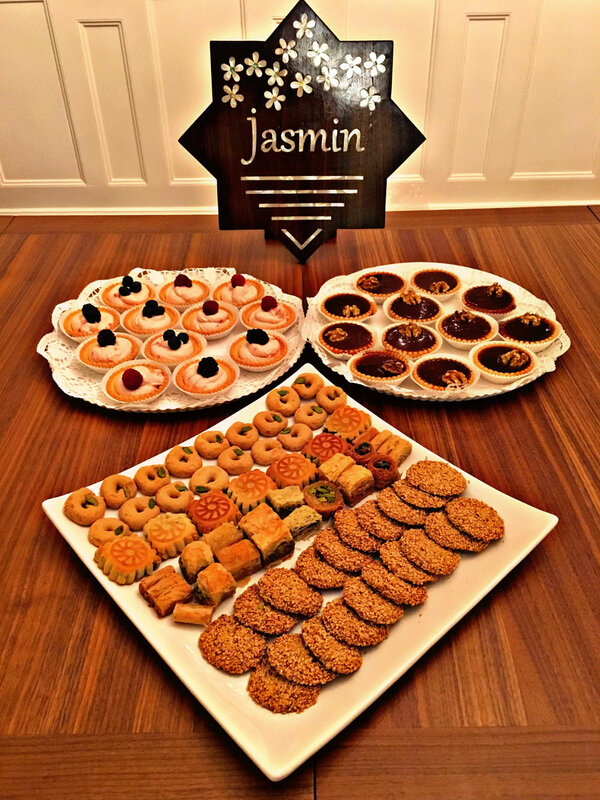 Jasmin Catering is a flexible, responsive family firm that caters for any event: from weddings to office lunches, away days to conference buffets. Happy customers include Facebook, Cisco, Germany's Green Party – and even Chancellor Angela Merkel. Jasmin Catering is committed to helping society: firstly by employing middle-aged newcomer women who would otherwise struggle. Second, by giving all leftovers of food to those people who really need it. Take your company, family or friends on a delicious journey to the flavours of Syria, with Jasmin Catering. Book now. Chickpeas and homemade bread pieces in a yoghurt tahini with cashews, almonds and pomegranate seeds. What's not to like? The Jasmin Catering team will get back to you shortly.